Shriman Madhwa Siddhanta Prabodhini Samskrita Mahapathashala was established in 1904 by the seers of the eight mathas of Udupi, with a vision of making Samskrit education accessible to the public. Initially, this was a Samskrita Pathashala. It was converted to a college (Mahapathashala) in 1919, and obtained the recognition of Madras University. During its earlier days, classes were being held in the Ananteshwara and Chandramouleeshwara temples of Udupi. It was then shifted to Kadekoppala Math. In 1951, it acquired its own building. Today, this college is the only Samskrit college in the districts of Kasargodu, Dakshina Kannada and Udupi. Along with regular lessons, the college has provided opportunities for studens to develop their oratory skills, and to acquire knowledge from experts in various fields through internal organisations like ‘Ruchira Bharati Sabha’ and ‘Kaavya Shaastra Vichaara Parishad’. The college has successfully hosted various events at the state and national levels, such as ‘All India Shaastraartha goshthi’, ‘Karnataka Samskrit Conference’, ‘District Samskrit Conference’, ‘South India Regional Veda Sammelan’, ‘Shri Vadiraja Gurusarvabhouma Shaastraartha Vichaara Sankeerna’, ‘State Level Shaastra Vakpratiyogita’, etc. Members of faculty, in addition to performing their teaching duties efficiently, have been active writers too. Several texts like ‘Mantra sangraha’, ‘Anvaadhaana sangraha’, ‘Saahityavallaree’, ‘Subantakaumudi’, ‘Tribhaashaasookti’, ‘Geetegondu Kadegolu’, ‘Praanachintane’, ‘Namma vikruta aacaaravicaaragalu’, etc, have been authored by them. They have also penned Yakshagaana plays like ‘Gadaayuddham’ and ‘Kamsavadham’, which have been successfully brought on stage by students. Diamond jubilee of the college was celebrated in 1980, commemorated by a volume called ‘Shevadhi’. 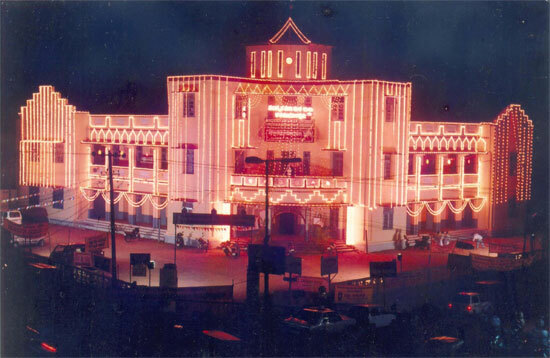 Centenary celebrations were held in 2004, in presence of various dignitaries and scholars from the entire country. A volume, ‘Yogamaayaa’ was released on the occasion. Illustrious alumni of the college – Palimaru seer Sri Sri Vidyadheeshateertha Sripada, Pejawara seer Sri Sri Vishwaprasanna teertha Sripada, Bhandarakeri seer Sri Sri Vidyeshateertha Sripada, Edatore seer Sri Sri Shankara Bharathiteertha Sripada, Vidyavachaspati Bannanje Govindacharya, Agnihotri alevooru Seetaarama Acharya, Biliyaru Srinivasa Bhat, Kannaradi Vithalacharya, novelist Sri Satyakaama, Musician Sri Matapadi Rajagopalacharya, Vid. Saanooru Bheemabhat, H R Vishwas (Samskrita Bharati), Vid. Janardana Hegde (Samskrita Bharati). The college has a library called ‘Sri Vaadiraaja Pustaka Bhandaara’, with over 10000 books. This is open not only to the students of college, but also to the public. The library also has facilities for storage and study of Manuscripts and palm leaves. There is also a well-equipped computer laboratory, which is useful for the students to keep up with modern technology. Both library and computer facilities are provided to the students for free. All mathas of Udupi provide free hostel facilities to Samskrit students. Free meals are also provided in the Srikrishna Matha. Other than these, there is the ‘V K R Acharya Memorial Hostel’, exclusively for students of the Samskrit college.